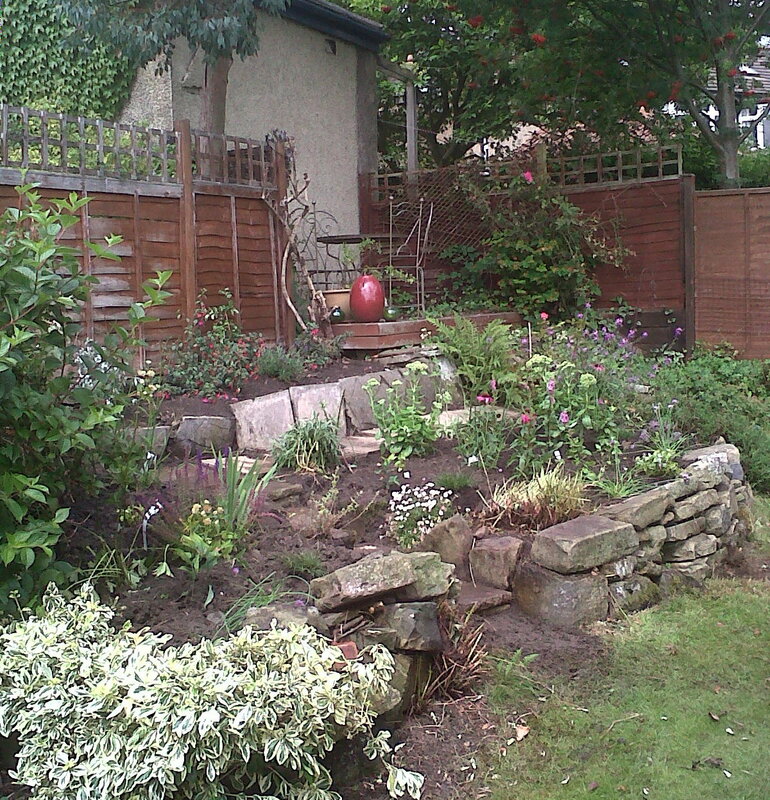 I planted up a nice little border this week in Leeds. It needed a rework. 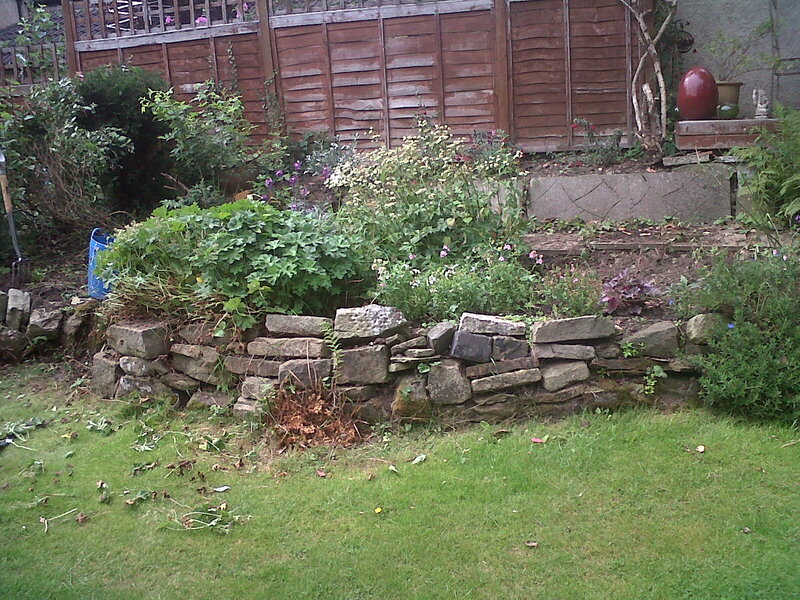 The established beds had been planted up some years ago and over time plants had disappeared and my least favourite thing – bindweed had been gradually creeping through what remained alo ng with its best friend the couch grass. I really loathe bindweed. Its such a nightmare to kill off and it doesn’t matter how much you dig you are bound to leave a bit somewhere and so off it will go again. However, I’ve written about bindweed before though so I shan’t rant again. So a lot of digging! And on the left of the border geranium Johnson’s Blue had got out of hand. Its got a lovely blue flower early in the year but then it doesn’t do much at all and it keeps increasing in size year on year unless you keep it under control, only its pretty early flower has saved it here but very much reduced to a shadow of its former self. 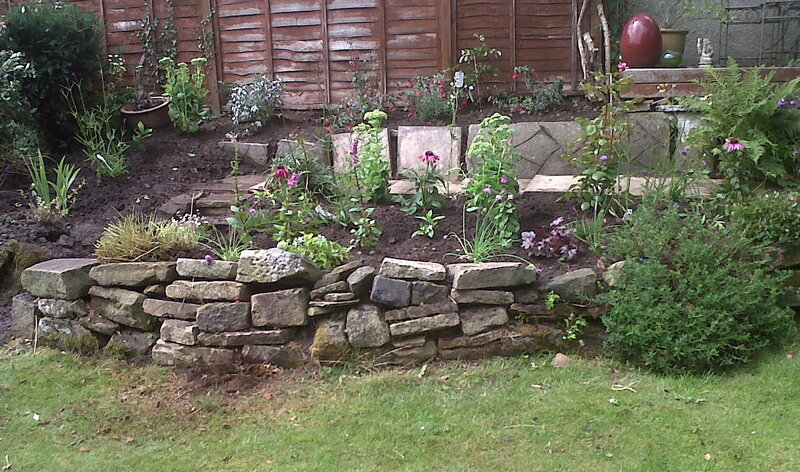 The newly planted border looks a bit thin (I hope you can tell which is which!) but come back next year and I promise it’ll be full of flower and colour. The client wanted soft colours, pinks, mauves, whites and blues and lots of flowers with a reasonably long season so in the border are a range of fairly easy plants, phlox, iris, campanulas and grasses….which aren’t doing a lot at the moment – as well as verbenas, ecinacea and sedums, which will be in full flight any minute and continue right into the autumn, and a nicely scented English rose which should flower all summer long with a lovely verbascum which is flowering right now. There were already alliums in the bed which will now come through the new planting, and on the fence, though tiny at the moment, I’ve planted a white Japanese quince which should cover the panel with flowers in the early spring and then have fruits later on. 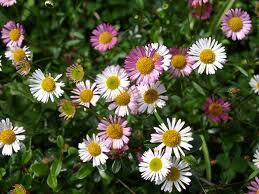 Because there are steps up through the border I’ve put in some Mexican Fleabane (erigeron kar vinskianus) alongside and hoepfully it’ll self seed between the stones. 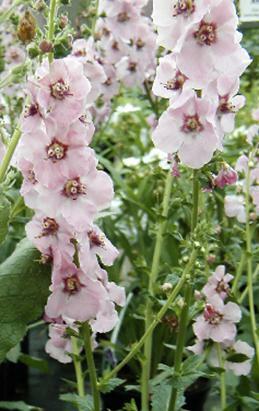 I think its probably my favourite plant this week…..ummm or maybe not, maybe it was the verbascum Pink Domino…. 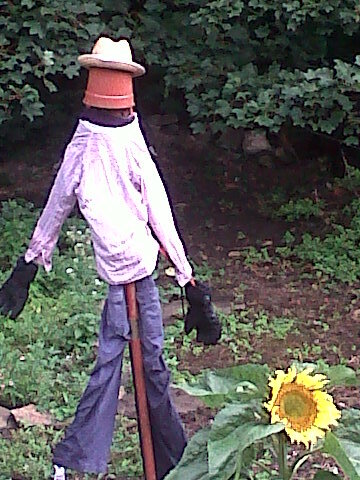 At home we’v e installed a scarecrow in the garden to fend off the fox. The wretched thing took Elsie almost a fortnight ago and so having Googled all things anti fox we came up with either electric fencing (ouch what about the cats? ), male urine (so poor son is banished from the bathroom) and a fairly quick fix, Sam the Scarecrow. This is all well and good but he keeps making me jump! Let’s hope that he makes the fox jump too. I must get it into my head that Sam lives here too now. Somehow I suspect that this may not be the end of it and so my search for the perfect solution will continue.